Raudebaugh, Michael J. - Groelle & Salmon P.A. 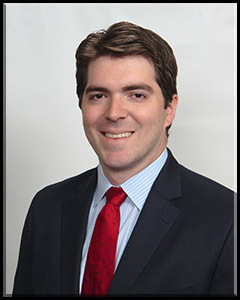 Mr. Raudebaugh is an associate attorney who practices primarily in the area of first party property litigation. Prior to joining Groelle & Salmon, P.A., he practiced commercial litigation with a particular emphasis on contractual and real estate disputes. His extensive litigation experience has given him the opportunity to represent businesses and individuals on both the plaintiff and defense side. Mr. Raudebaugh is admitted to practice law in all state courts in Florida, as well as in the United States District Courts for the Southern and Middle Districts of Florida. He received his Juris Doctor from Tulane University Law School and obtained his Bachelors of Arts from the University of Florida.